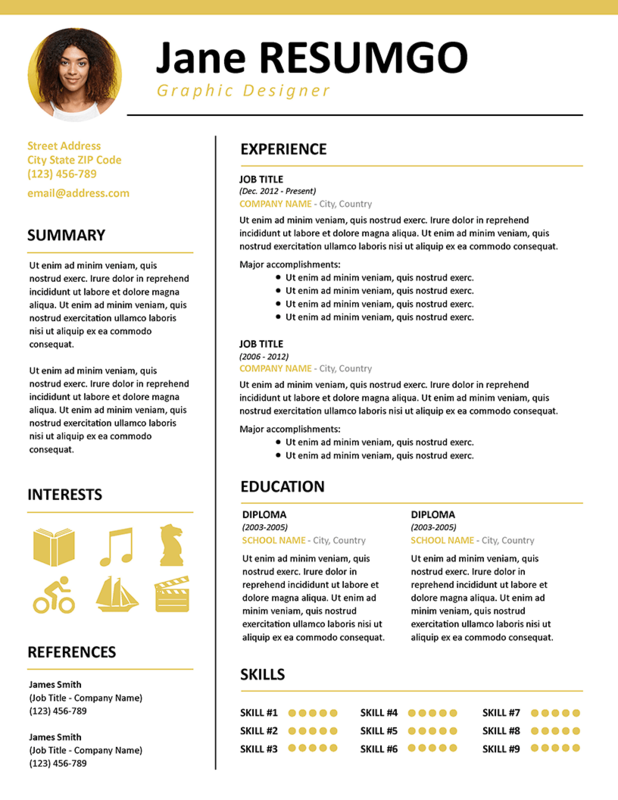 Kallias is a free contemporary resume template, with a top golden border. 2-column structure layout. Clean white background with golden touch colors. The left column is used for your ID photo, personal information, interests, and references. The right/main column will detail your key content: professional experience, education path, and main skills.